Select your vehicle to see the specific Ford, Lincoln or Mercury logo that will come on your Custom Sunscreen. 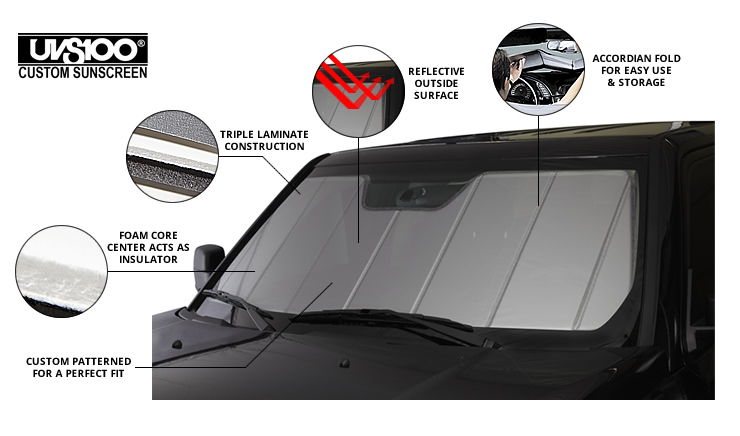 The UVS100 Custom sunscreens not only help reduce the interior temperature when it's hot outside, they also protect the vehicle interior from damaging UV rays that are present all year long. These sunscreens are custom fitted to your vehicle to ensure maximum windshield coverage and ease of installation. 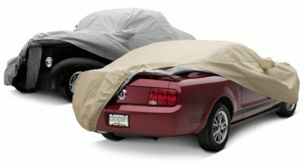 Sometimes called heat shields, sun shields or UV shields, sunscreens are useful at the beach, work, airport or anywhere you park. 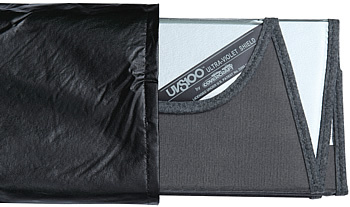 This premium quality, custom patterned folding heat shield has a silver reflective fabric on the outer side, soft felt on the inside. Both fabrics are laminated to a foam core board which acts as an insulator. The silver outside-facing fabric helps reflect damaging UV rays that not only heat the inside of your vehicle but also can damage the interior.